These dresses each begin with a top, mermaid skirt, and belt. Purple has a combo sleeve of two cap sleeves with half circle sleeves at the bottom, a wrap around collar, and wings. It is modeled by Barbie Basics Model No. 14 Collection 003 . Blue has Puff sleeves, a necklace, and wings. It is modeled by Barbie Basics Model No. 01 Blonde . Green has a cape and bracelet. It is modeled by Barbie Basics Model #02 Collection #003 . Orange has shoulder straps and wings. It is modeled by Barbie Basics Model No. 07 Collection 003 . From left to right across the front row. 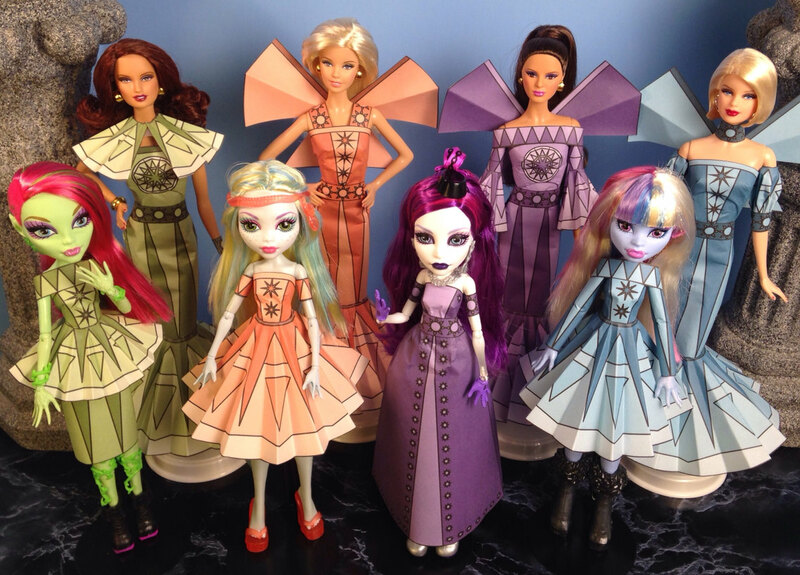 Venus McFlytrap is wearing a top, straight skirt, small circle over skirt, wrap around collar. 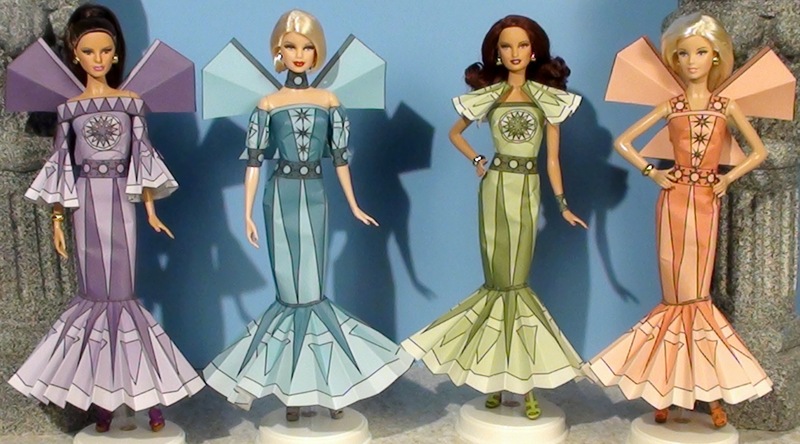 Lagoona Blue is wearing a top, circle skirt, cap sleeves. Spectra Vondergeist is wearing a top, flared skirt, belt, cap sleeves. Abbey Bominable is wearing a top, circle skirt, straight sleeves, wrap around collar. This dress is made exactly the same as the purple dress above. It is modeled by Barbie as the Swan Queen in Swan Lake . 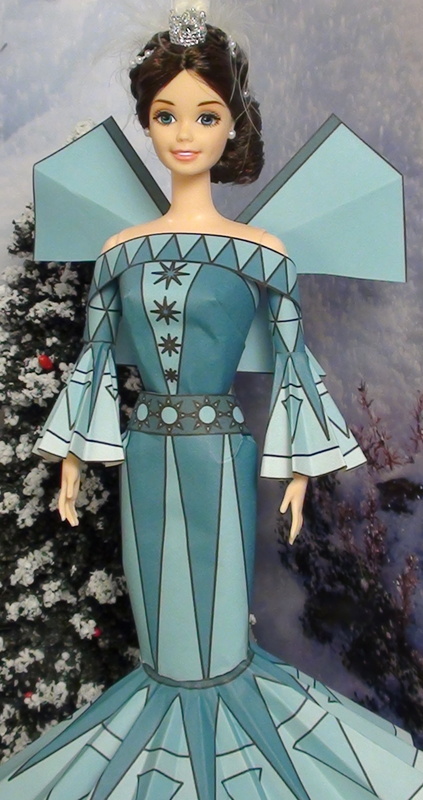 This dress has a top, flared skirt, belt, shoulder straps, and wings. It is modeled by Barbie Fairytopia Dandelion .